Retail Price: $17.99 Log in for LOWEST PRICE! 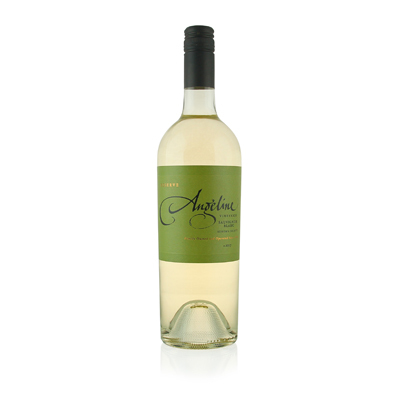 Angeline was founded by Courtney Benham, who grew up in a farming family in California's San Joaquin Valley. Early on, Courtney recognized that great wine is the sum of more than just good grapes and talented winemakers; it's the result of an efficient, nimble whole, working magic together. Great wine, Courtney decided, came from a symbiotic relationship between his staff and a selection of expert consultants and growers. Courtney's experience and success in both the creative and marketing process of making great wine has been his benchmark for over 30 years. His success has afforded him the opportunity to delve into many different appellations in California, as well as experimental grape varieties and disciplines. In so doing, he has established an incredibly reliable brand that has one tenet above all: he doesn't release his mistakes. Everybody makes them, but only the great wineries can afford to make sure they never see the light of day, let alone your glass. For this beauty, several different subzones of Sonoma County were fine tuned to attain outstanding balance and complexity. Grapes from the warmer regions of Alexander Valley and Dry Creek were judiciously blended with those from the cooler Russian River Valley to get power and glory in one glass. Here is Sauvignon Blanc at its finest. Fruit, flavor and finish. Fantastic!